A new emerging wine region in Ontario, along the shores of Lake Erie, bridging the gap between the Niagara Region and the Lake Erie North Shore Region. Verification shows that the missionaries Missionaries Dollier and Galinee made wine from grapes in the area in the late 1600s. St Williams, ON NOE 1P0. Located overlooking the Long Point Biosphere Reserve on the winding, scenic Lakeshore Road of Lake Erie in Norfolk County in the Ontario South Coast region. The owners are Angie and Dale Vranckx. Their son Nick is the winemaker. Why the name they are the oldest high bush commercial blueberry farm in Ontario and the winery retail store is located on a hill. 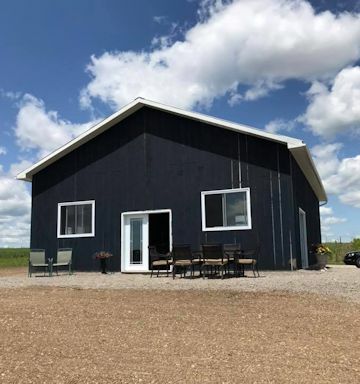 Blueberry Hill Estates is a high bush blueberry farm that operates a fruit winery on the premises along with a seasonally opened farm market and pick-your-own blueberry patch. Philosophy: At Blueberry Hill Estates, we insist upon only the best for our wines begins in the field, where they are bathed in sunshine and only the highest quality of fruit is used. Winemaker Nick Vranckx continues this vision during the winemaking process and lets the fruit express its true character with minimal intervention in the cellar. Each sip of our fruit and grape wines are meant to be savoured. Whether that’s on the back deck, sipping a glass of blueberry wine while grilling dinner or pouring sangria for friends — our wine is more than what is in the bottle, it’s about the experience it creates. Bonnieheath Estate Winery is an ecological agri-tourism destination that provides a small farm experience through culture and education from field to final product. 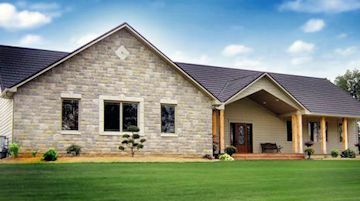 Located in the Sand Plain Region of Ontario's South Coast, this Norfolk County former tobacco farm features rocks as well as sand deposits that are remnants of the glacial advancement that created Canada's freshwater Great Lakes. 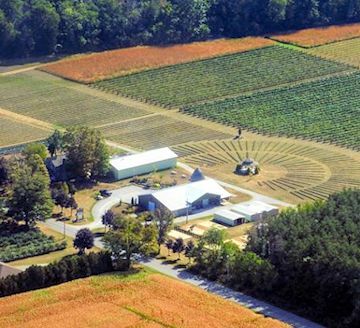 The owners, Steve & Anita Buehner, are enthusiastically re-purposing this farm which currently includes a 10 acre vineyard, 10,000 plant lavender field, 13 acre apple orchard, naturalized prairie grass buffers, and a wetland. It was easy to come up with the name. Bonnieheath is a historic farm name. The farmhouse was built by a Colonel William Heath around 1900. He grew up next door in a house that was called 'The Bonnieheath'. The Buehner found papers in their attic that described the farm as the Bonnieheath Fruit Farm. The winery is opening late 2103. They are working on a lavender ice wine. Named one of Norfolk's Top Ten Amazing Places in 2014 and Sustainable Tourism Ambassador Award winners in January 2015. 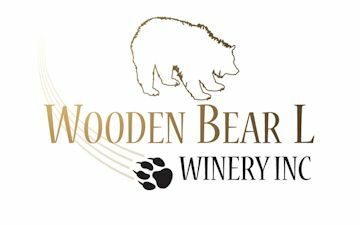 The wineries is a partnership owned by Mike McArthur, Dave Pond, Frank Deleebeeck and and Gordon Malo (Steve Malo Farms Inc.) . Golden Leaf Estate Winery was founded in 2011 by the Shelswell family. Formerly Florence Estate Winery, the property is an old tobacco farm situated in the sandy loam of Norfolk County, Ontario. The vineyard was one of the first in the area to develop into a full scale estate winery. The winery opened its doors in 2016. It is perfectly situated on the top of a hill, overlooking the many acres of the farm, vineyards, and reclaimed Long Point marshlands that gives Inasphere its unique charm. Philosophy: lets the fruit express its true character with minimal intervention in the cellar. Rob Quai and his wife Lisa operate this 20 acre winery in Elgin County 5 km from Lake Erie. 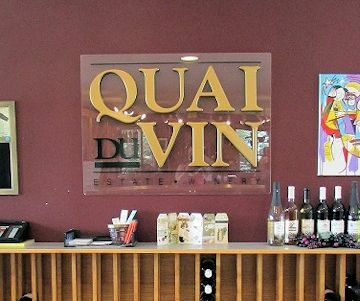 The location doesn't quite fit into the other wine regions however, in the mid 1970's Redi Quai planted a vineyard. His son Roberto and his wife, Lisa, opened the doors of the winery in 1990. 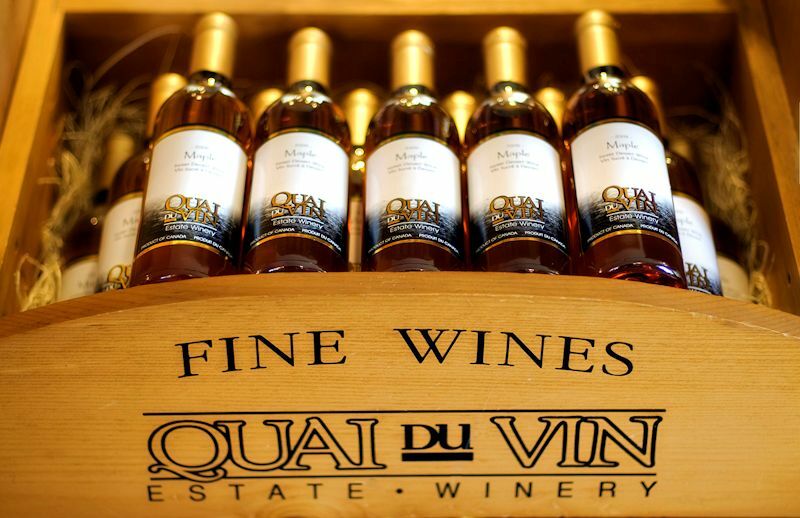 Quai du Vin produces over 90,000 bottles per year and celebrated its "Millionth Bottle" in July, 2002. Their philosophy is to produce good quality wines at reasonable prices using simple winemaking techniques. They work hard doing it themselves. They also produce wine jellies. Philosophy: I want to craft wines that people enjoy drinking, within the boundaries of the Ontario wine industry, and within the breadth of my own philosophies on what makes a great wine. Frisky Baever is owned by Rapscallion Wine Co. The winery was formerly know as Dover Vineyards. A premium vineyard estate located in the southern part of Ontario in the town of Port Dover. The Czerlau family began growing tobacco in Norfolk County in the late 1920s. Along with tobacco, Joseph Czerlau planted grapes and made his own wine on his farm near Vienna Ontario. The winery is unique producing Amarone style wines, Appassimento, made with dried grapes, they were the first to do so in former tobacco kilns. 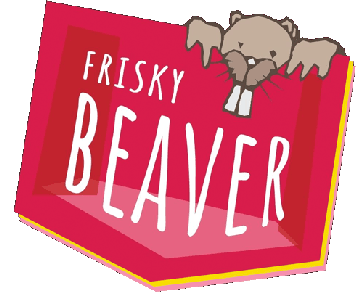 Brand names are Smoke and Gamble, and Frisky Beaver. Philosophy: Work with soil structures, climate and specific varieties developing the vineyard and planting densities based on the different qualities each site possessed. 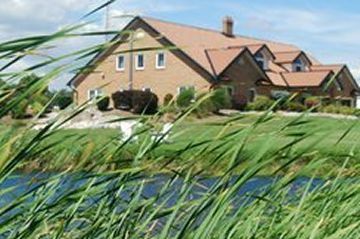 organic management practices gave the advantage of providing the plants with the opportunity to express their full, unobstructed qualities and potential. Rush Creek Wines is located on the north shores of Lake Erie in the Eastern Region of Elgin County, near the historic village of Sparta. 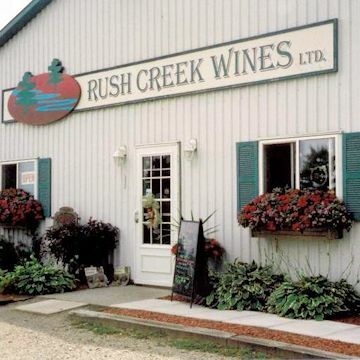 Winner of the 2001 National Fruit Wine Maker of the Year award Rush Creek Wines offers a wide variety of wines, from dinner wines to dessert wines, meads (honey wine), maple wine, and very dry wines - they have them all. Using only 100% pure fruit from which the wine is named, no grape base is used. Bonnie Preece who established the Carolinian Winery & Eatery in May 2011 has purchased Rush Creek. The decision was made to move the Carolinian's manufacturing and retail licenses over to Rush Creek Wines. The next project is to convert the farm house into a larger retail gift area joining alongside a quaint tea/coffee room. A small menu of lunch items may be added eventually. 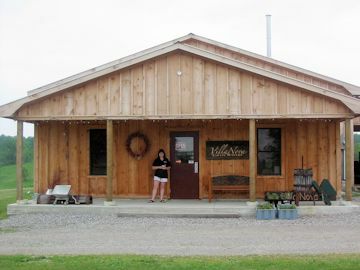 The winery is located on the site of the family heritage farm, which includes a historic barn and apple trees which were planted by the original settlers. There are a small number of beehives on site,along with old-growth apple trees, They also grow their own red currents, all of which we use in the artisanal, small batch meads. Mead Riesling: a dry and delightfully tart pyment (grape mead). A blend of Ontario Riesling grapes and Ontario honey. Mead Rosé: using crushed Cabernet Franc grapes, soaked the juice on the skins for several days, then pressed off the skins and mixed the juice with honey and water to start fermentation as a pyment (grape mead)! Early flavours emerging in fermentation include cassis and ripe berries. Honey Apple Cider: This sparkling honey apple cider is made with fruit from our own heritage varietal apple trees! Tallgrass is a member of the Stratford Tourism Association and the Ontario Culinary Tourism Alliance, committed to supporting local producers and local businesses. 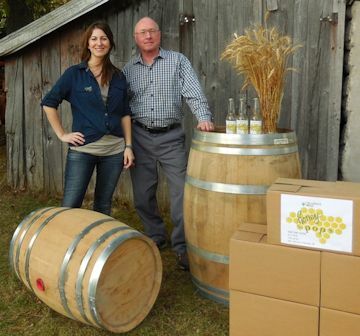 Philosophy: Use locally-sourced ingredients to create innovative and delicious small-batch honey wines. 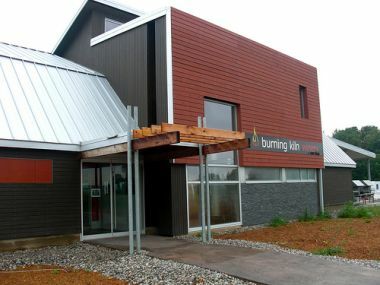 The winery is located on the eastern edge of Norfolk County, in an area with sandy knolls and loam soils. The-property is bisected by a picturesque ancient river valley. The natural landscape of old pasture, wetlands, forested slopes, and hardwood forest ( Hickory, Butternut, Walnut ) provides habitat for diverse wildlife such as grassland birds, wild turkeys and deer. They also make cider and Mead. 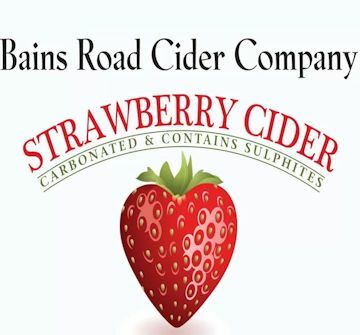 They started the winery as a value-added business for our apple orchard entity - Calmark Orchards Ltd. Calmark has 50 acres of orchard, growing market and processing apples such as: McIntosh, Empire, Red Delicious, Golden Delicious, Ida Red and Spy. From these apples and other varieties sourced in Norfolk, they produce varietal and blended apple wines and cider products. They also produce grape wines and other fruit wines. Raw Materials used for these products are also sourced locally.